This page introduces Noh Theater. Reijiro Tsumura is the representative director of “Kanzeryu Ryokusenkai”, and also is designated as the holder of Important Intangible Cultural Property of Noh Play. 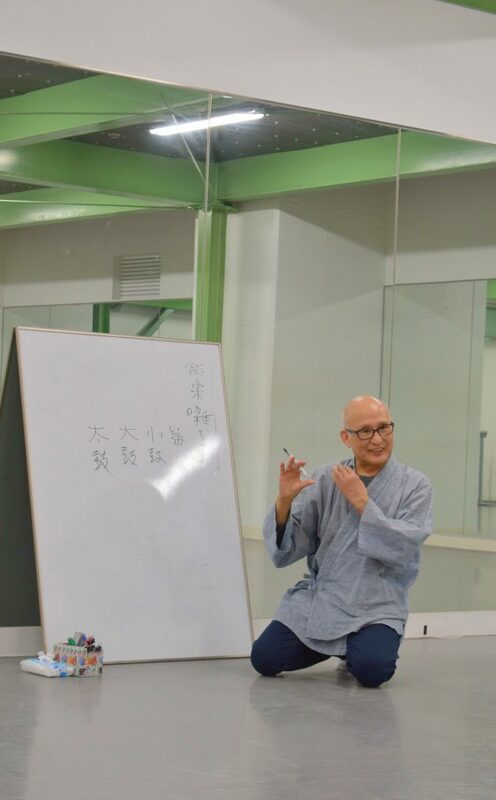 Students are able to learn “Utai” and “Shimai” by him directly. *Utai :A Noh sung completely without the inclusion of the instruments. *Shimai :A type of performance danced in “Kimono” known as Montsuki, Hakama. First of all, Master Tsumura picks one of the Noh programs and explains the story in this class. Next, students sing “Utai” followed by Master Tsumura after learning the background of story. And then, they dance “Shimai” performed by him. 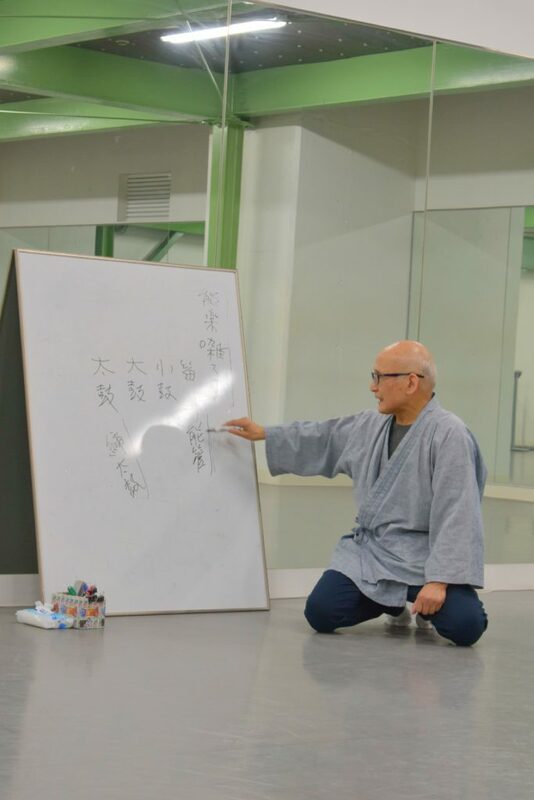 Anyone can take the class because Mater Tsumura teaches kindly even if you had no idea about Noh Theater. And also his explanation is very instructive because he has extensive knowledge and a sense of humor. Moreover he creates not only Noh programs but also contemporary arts with a ballet dancer, contemporary dancer, and an actor. foreign people who are interested in Japanese traditional culture. This fee is ¥2500 yen per a class and you do not need any reservation. So just come over to the studio! Please let us know if you had any questions. We hope many people to have a good experience in Studio ARCHITANZ! !